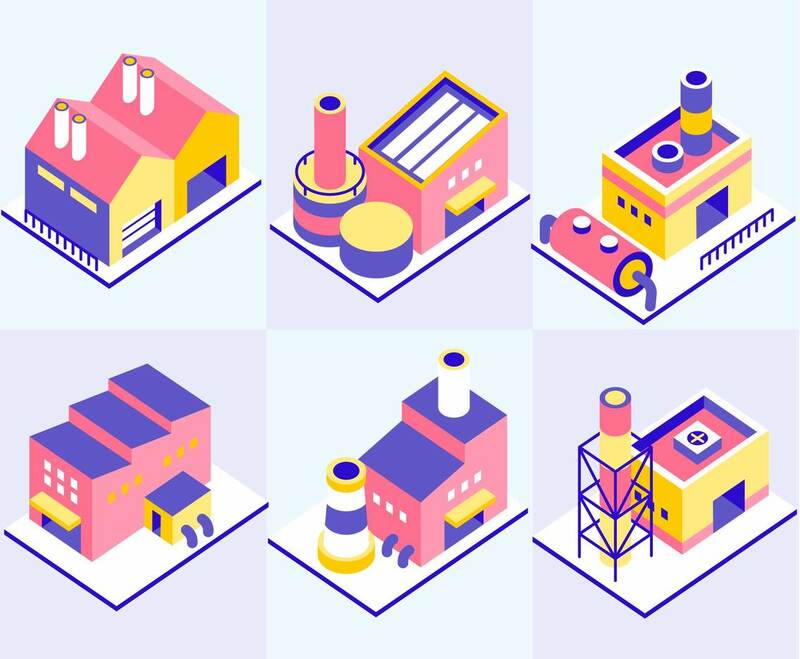 Collection of factory illustrations in vector format. You can use one of this if you want to create a design with isometric style and theme. Especially if the design is related to industry or manufacture.